One nagging idea shared in July led to 40 strangers meeting for an unbelievable weekend in a Youth Hostel just outside Dorking in November. You can read all about this here. Sarah and I knew that we’d mixed up something rather special somehow with the camp, and were keen to replicate it. We talked about several options – bigger venues, more regular events, setting the ‘brand’ totally free, but felt all of these options would damage either the quality or the integrity of what we were trying to achieve. So – our plan – the same weekend in November this year (14th – 16th) – but the plan is to have four/five locations in England. All Hostels, all with a cap on numbers. Keep it small, personal, wifi free and special. We also felt that, in order to ensure the philosophy remained, any SLTcamp should only be lead by an ex-camper. Of course, remix away, but they were the ones who were at the original, and knew our intentions and aspirations. Where are we? We have booked (eek) two hostels for the SLTcamp weekend in 2014 – Medway and Osmotherley (Northallerton), or SOUTH and NORTH as they will be known (but perhaps just by us!). Sarah and I are happy to run the Medway camp (unless anyone else is keen?! ), and we’ve asked Penny Leach and Andy Day to lead the Osmotherley camp. They inspired us over the weekend, and with Penny’s eye for culinary branding and Andy’s thoughtful kindness, we knew that they would be perfect. AMAZINGLY, THEY SAID YES! We’d love to have a WEST and EAST (or even MIDLANDS) camp, but are missing three key features – funds, demand and leaders. So, please help us out. If you are a sponsor eager to support grassroots CPD for leaders, let us know, or better still, speak to one of our brilliant sponsors from last year to find out why they supported us. If you were an original camper and fancy leading one, let us know! Ideally (we think) a good pairing of male/female, and Primary/Secondary works well, although red cheeks/fringe are optional pairings! 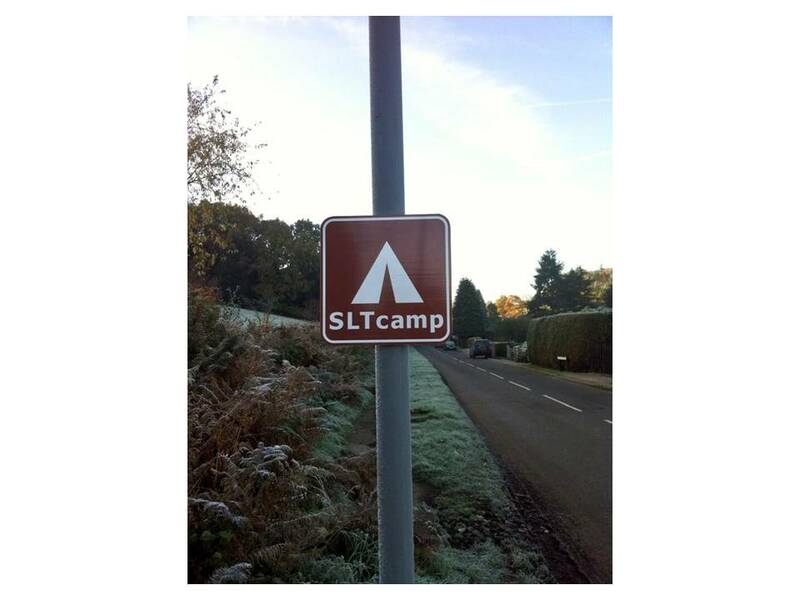 Finally, if you live in the west/east/Midlands and want an SLTcamp close to you – let us know! We’re not confident enough to think we can fill four venues, but would love to hear from you and find out if we could! The YHA have kindly reserved a few localised venues on SLTcamp weekend, but we need to move fast to secure them! Tickets from SLTcamp North and SLTcamp South will be released Sunday, 2nd Feb at 8.30pm – follow the @SLTcamp account or this for the links. If you have any questions or queries, please don’t hesitate to get in touch with us!